Come along and show your support for your library. 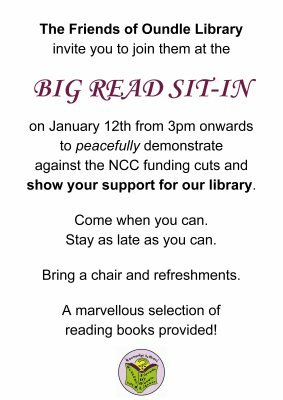 On 12th January from 3pm onwards, Friends of Oundle Library invite you to join us for a peaceful demonstration against the proposed NCC funding cuts. Bring a chair and stay as late as you can.